Picture this- you really need to study or maybe you're not tired and want to read a book for class. However, your roommate needs to sleep. Your roommate won't appreciate the overhead light being on and keeping them awake. Even if they say they don't mind, if you plan on staying up while your roommate is sleeping, it is considerate to not use the overhead light. You would probably want them to do the same for you. You don't have to study by a tiny book light, either. You may have quite a bit of books open, so it may not do. How are you going to study in your dark dorm room without waking up your roommate? No, you don't have to go the dorm common room. 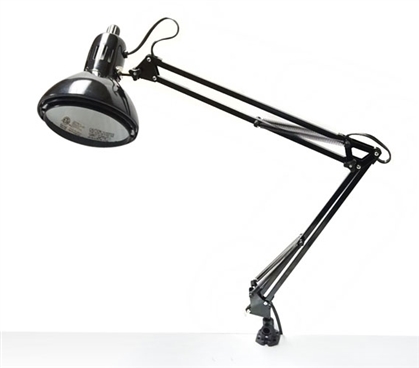 In fact, you don't have to leave the comfort of your dorm room with our Adjusting College Clip Lamp in Black! 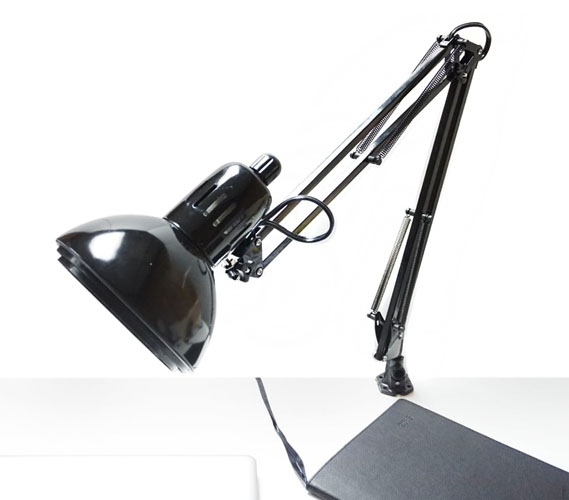 Our Adjusting College Clip Lamp in Black is a perfect dorm essential for studying. It clips on the side of a dorm desk or college nightstand instead of sitting on top of the dorm desk so that it takes up little space. You need that desk space for your dorm laptop or tablet and all of your college textbooks- you don't want a college lamp in the way. 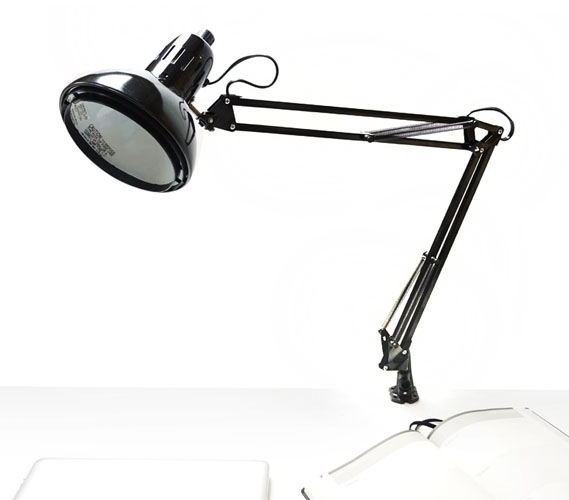 With our Adjusting College Clip Lamp in Black, you will have extra light without losing any space. Plus with an adjusting head and neck, you will be able to focus the light wherever you need it to be whether it is closer to your college textbook or farther away!